The Institute was founded in 2009 as part of the Cluster of Excellence Frankfurt Macromolecular Complexes (CEF). We aim at understanding macromolecular complexes, in particular the molecular mechanisms underlying cellular functions. The Institute is composed of twenty-two scientific groups from various disciplines including biology, physics, chemistry, and medicine. We are dedicated to perform basic research with biomedical relevance, to train young scientists, and to develop frontier technologies in life sciences. April 2019. The new project &qout;Bioprinting by light sheet lithography: engineering complex tissues with high resolution at high speed&qout; (BRIGHTER) will be funded by the prestigious and highly selective Future and Emerging Technologies EU programme (FET Open, part of Horizon 2020). The EU will support this three year project with a grant of 3,450,000 € of which 700,000 € will go to the Physical Biology Group of the Faculty of Biological Sciences at Goethe University. The consortium of BRIGHTER includes Goethe University Frankfurt, Germany), IBEC (Barcelona, Spain, consortium coordinators), Technion (Haifa, Israel) as well as the companies Cellendes (Reutlingen, Germany) and Mycronic (Täby, Sweden). April 2019. Many clinically used drugs are peptides, which are often produced by microorganisms such as bacteria or fungi. They include important antibiotics such as vancomycin, daptomycin and penicillin, immune suppressors such as cyclosporine, and anti-cancer drugs such as bleomycin. 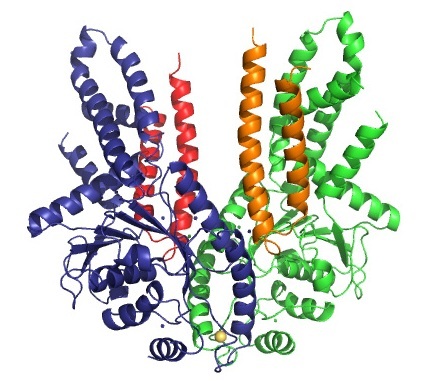 To alter these peptides, the enzymes producing them have to be reprogrammed. This also allows the production of non-natural peptides which do not occur in nature and which might have beneficial or superior properties compared to the original peptide. January 2019. Ribosomes are the protein factories of the cell and thus essential to life. They are large multi-component complexes that consist of ribonucleic acids (rRNA) and proteins. The biogenesis of ribosomes is only partly understood. It is a highly complicated process coordinated by many biogenesis factors as the pre-ribosomal subunits acquire maturity on their route from the cell nucleolus to the cytoplasm. November 2018. This year's international list of Highly Cited Researchers includes three members of BMLS. Now in its fifth year, the citation analysis conducted by the "Web of Science" company Clarivate Analytics identifies influential researchers as determined by their peers around the globe - those who have consistently won recognition in the form of high citation counts over a decade. Ivan Dikic, Stefan Knapp and Ernst Stelzer are among those listed for their exceptional performance in the category "Cross-Field", based on their high impact papers published across several fields. November 2018. 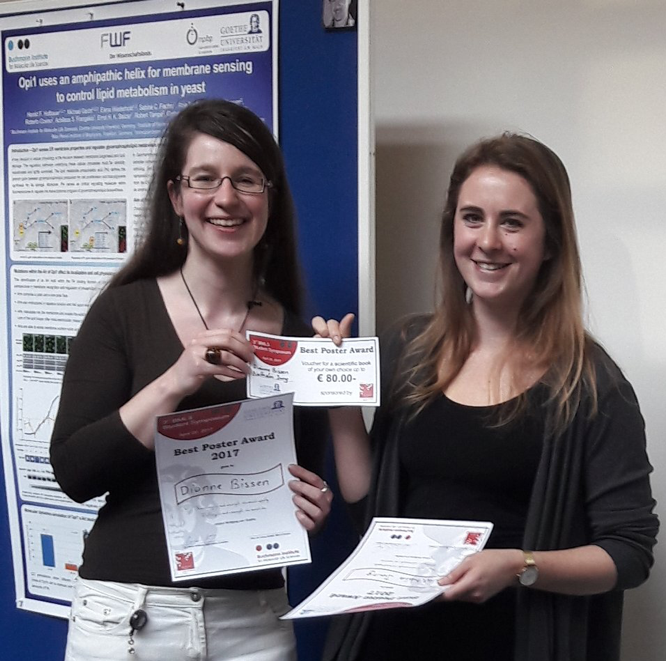 Nathalie Jung (Maike Windbergs lab) and Olga Tschesnokowa (Amparo Acker-Palmer lab) were awarded for the best talk and the best poster presentation during the 4th BMLS Symposium. Students and postdocs met at the 4th BMLS symposium on 8 November 2018 for what is also called the "non-supervised" symposium, an informal appointment where they could share and discuss their own research without supervisors. The event should encourage interdisciplinary peer-discussions, and enable connections within different fields and other colleagues. Moreover, this year students from FIAS joined the initiative, and four international speakers enriched the program. The lecture hall was well-filled with more than seventy attendees, where international invited speakers gave talks alternating with student and postdoc speakers. In-between breaks made room for a poster-and-pizza session and poster discussions over coffee. November 2018. How does the nervous system motivate us to get up from our sofa and walk to the fridge, or even to the supermarket, to get food? Finding food and remaining at a food source are crucial survival strategies. How do nerve cells exactly communicate with each other to achieve such complex behaviours and how has this evolved? 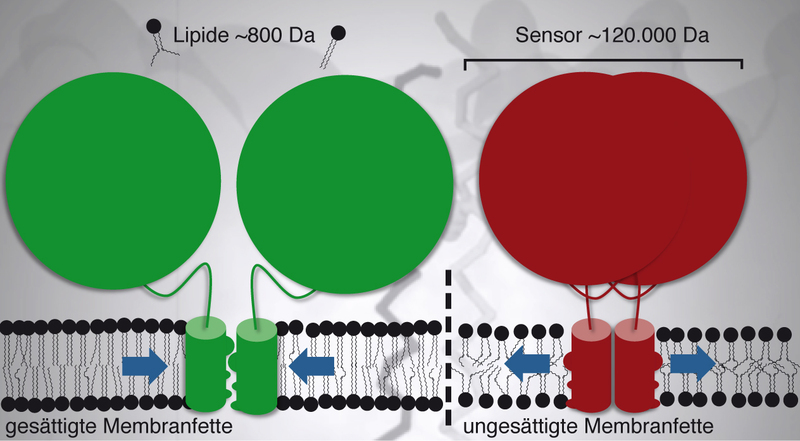 A team of researchers led by Alexander Gottschalk from Goethe University Frankfurt investigated how external food signals are turned into behaviour on a molecular, cellular and neuronal circuit level. 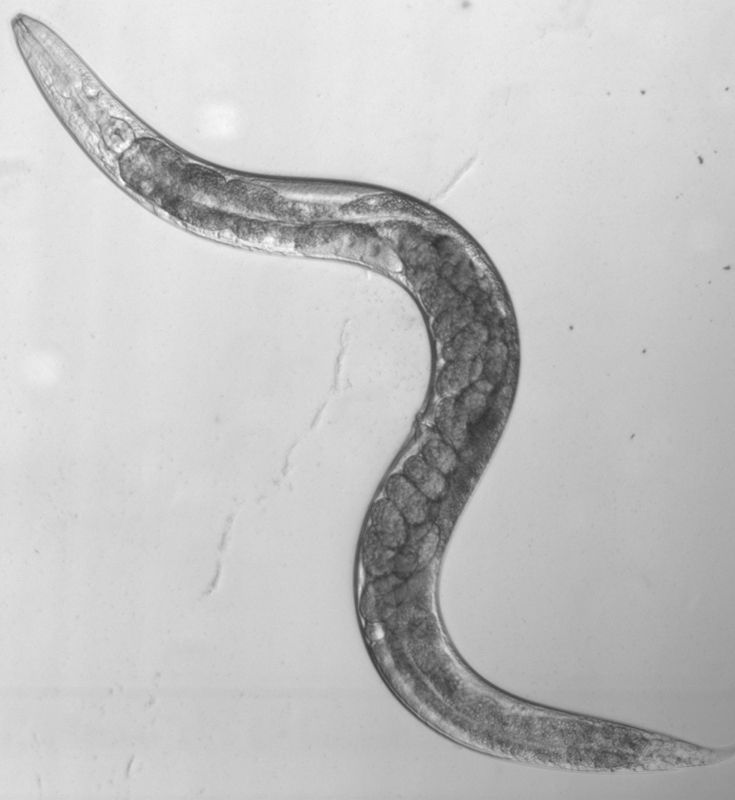 Their findings, using the worm C. elegans as a model, provide important clues for the evolution of foraging behaviour in higher animals. October 2018. Achilleas Frangakis, BMLS Group Leader since 2011 has been appointed BMLS Vice Director as of 10th October 2018 by BMLS Director Enrico Schleiff. October 2018.Controlling individual brain cells using light-sensitive proteins has proven to be a powerful tool for probing the brain's complexities. As this branch of neuroscience has expanded, so has the demand for a diverse palette of protein tools. October 2018. As announced by the Max Planck Institute (MPI) of Biophysics today, IBC2 Director Ivan Dikic has been appointed as Fellow of the Max Planck Society and will start his 5-year-term immediately, including supervision of a small working group at the Frankfurt-based Institute. The Max Planck Fellow Program has been set up to strengthen cooperation between outstanding university professors and Max Planck Society researchers. September 2018. 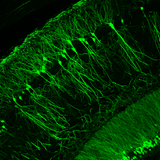 Scientists deciphered the function of an important class of motor neurons in a model species. 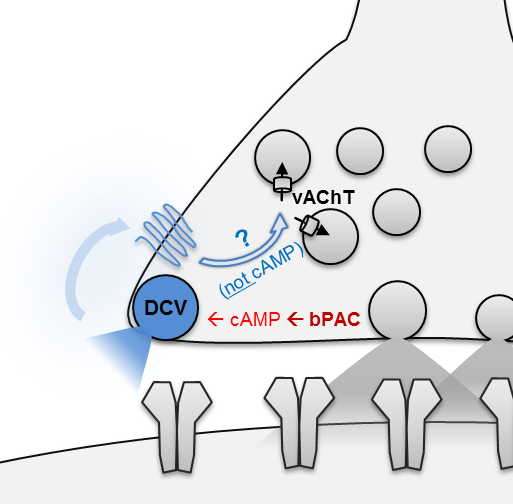 Many aspects of the neuronal control of basic behaviours are not yet understood. One big question is for example how the highly complex locomotion circuits of humans and other vertebrates operate in detail. As movements are regulated by neuronal circuits that share similar properties in a wide variety of species, including humans, scientists can use other species as models. Vertebrates even share similar principles with invertebrates despite their different locomotion and anatomy of neural circuits. The relative simplicity of invertebrate nervous systems has helped to develop concepts that guide our understanding of how more complex neuronal networks operate. August 2018. Function and homeostasis of the brain relies on communication between the complex network of cells, which compose this organ. Consequently, development of the different groups of cells in the brain needs to be coordinated in time and space. 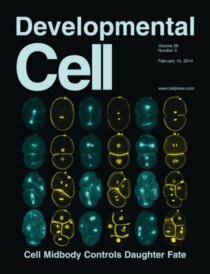 The group of Amparo Acker-Palmer (Buchmann Institute of Molecular Life Sciences and the Institute of Cell Biology and Neuroscience, Goethe University) reported in a Research Article in the last issue of the journal Science a novel function of blood vessels in orchestrating the proper development of neuronal cellular networks in the brain. August 2018. 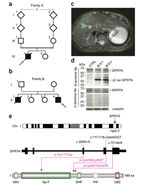 Frankfurt scientists together with scientists from the IMB Mainz decode the alternative splicing of the proto-oncogene RON with a high-throughput mutagenesis screen. August 2018. In September, Jasmin Hefendehl and her team will join BMLS. She received a prestigious Emmy Noether Fellowship from the German Research Foundation (DFG). The new Emmy Noether research group is focused on neurovascular diseases with a particular interest in Alzheimer’s Disease (AD) and vascular cognitive impairments (VCI). June 2018. 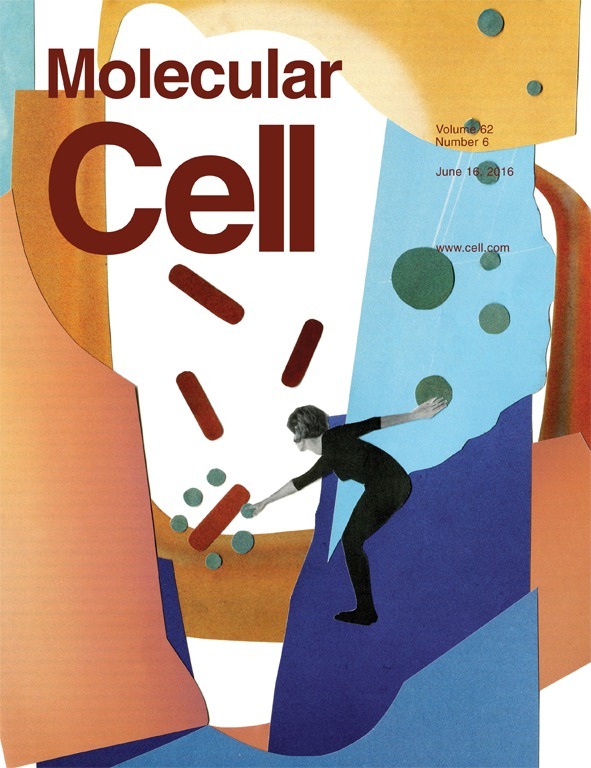 With the complexities of organelle communication and their dynamics under intense investigation, what are the new principles that are emerging, and where is the field headed? Cell’s Robert Kruger recently discussed these questions with Erika Holzbaur from the University of Pennsylvania, Jennifer Lippincott-Schwartz from HHMI, Janelia Research Campus, and Ivan Dikic from Goethe University Frankfurt. May 2018. Frankfurt scientists reveal atomic details for one of Legionella's enzymatic weapons and develop first inhibitor. May 2018. The European Molecular Biology Organisation (EMBO) announced that Stefan Knapp, Professor at Goethe University Frankfurt, has been elected to its membership for his contribution to the life sciences. Not every person who has a “cancer gene” will inevitably develop this disease in their lifetime. Thanks to a new area of research called epigenetics, we now know that many genes are only read under certain circumstances. Stefan Knapp not only researches the underlying mechanisms, he also developed small molecules that inhibit the derailment of gene expression in cancer. Now he has been elected as one of 62 new members of EMBO, joining a group of more than 1800 of the best researchers in Europe and around the world. April 2018. Prolonged drug residence times may result in longer lasting drug efficacy, improved pharmacodynamic properties and "kinetic selectivity" over offβtargets with fast drug dissociation rates. However, few strategies have been elaborated to rationally modulate drug residence time and thereby to integrate this key property into the drug development process. 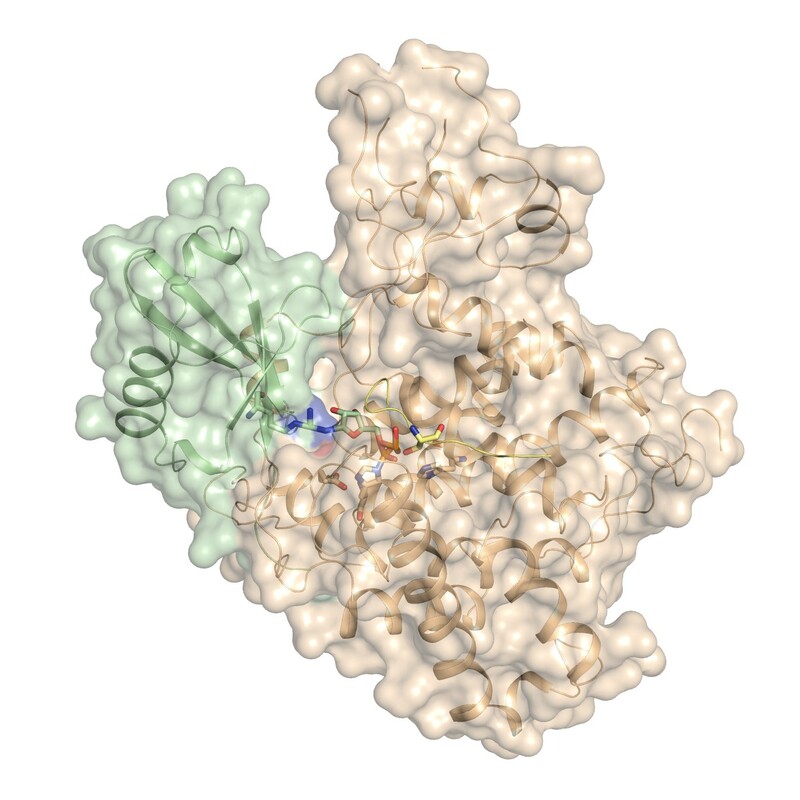 A team of scientists from Frankfurt, Oxford, Berlin and Heidelberg now report that the interaction between a halogen moiety on an inhibitor and an aromatic residue in the target protein can significantly increase inhibitor residence time. March 2018. 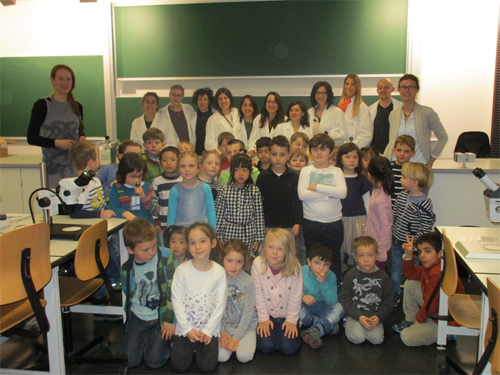 They were back - the next generation of top scientists came to visit the BMLS on March 22nd. We welcomed the 37 pre-school kids of the daycare Kairos and St. Bernhardt in our lab and had a wonderful day of science. The 6 stations that were prepared for the kids were a hands-on experience of various fields of science including biology and physics. March 2018. 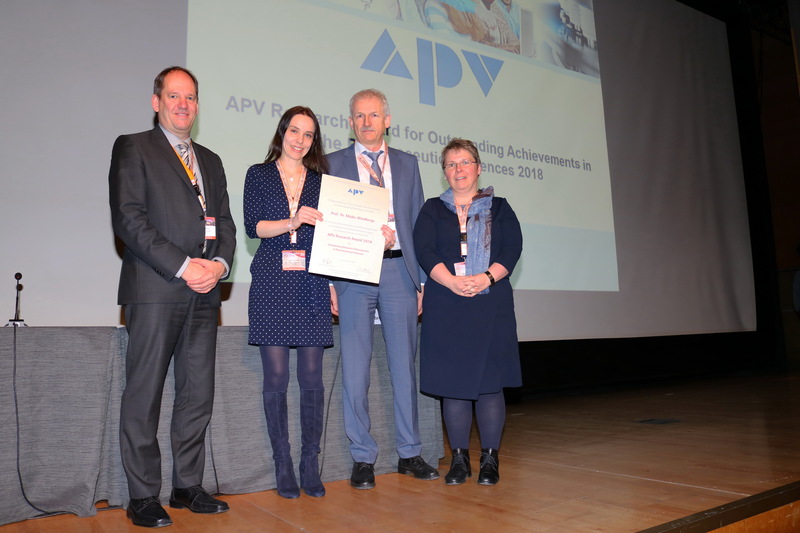 Maike Windbergs, professor for Pharmaceutical Technology in Frankfurt, received the βResearch Award for Outstanding Achievements in the Pharmaceutical Sciences 2018β from the International Association for Pharmaceutical Technology (APV) for her excellent research in the field of design and preclinical testing of novel medicines. 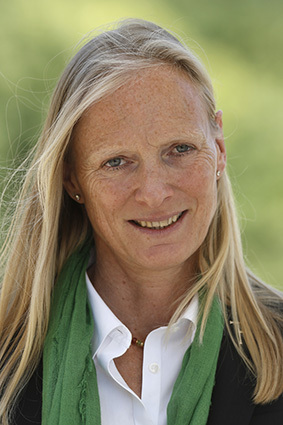 Since February 2017, Maike Windbergs is a professor for Pharmaceutical Technology at Goethe University and research group leader of the βDrug Delivery and 3R-Modelsβ group at the Buchmann Institute for Molecular Life Sciences. Besides innovative formulation approaches, one of her research foci is based on the development of complex three-dimensional in vitro tissue models for preclinical testing of novel drugs as alternative to animal testing. The award was presented in a ceremony during the international World Meeting on Pharmaceutics, Biopharmaceutics and Pharmaceutical Technology on the 20th of April 2018 in Granada, Spain. March 2018. Many scientists use model organisms, such as worms, mice and insects, to study biological processes β as discoveries made in these often also apply to other species. A common technique is genetic manipulation, in which a foreign gene is inserted into the chromosome of an organism. Such transgenic model organisms are important tools to analyze biological processes or mimic human diseases. Most organisms carry two homologous chromosomes β one inherited from each parent. Newly created transgenic organisms often carry the transgene on only one of the chromosomes. This can be a problem for scientists, as many experiments require individuals that carry the transgene on both. Genetic assays are, therefore, required to identify the genotype. January 2018. Infertility is a major negative side effect of chemotherapy. Scientists at Goethe University and Tor Vergata University in Rome have managed to decipher the detailed mechanism of how chemotherapy causes infertility in women. December 2017. On Dec 6, 2017 the BMLS research group leaders assembly voted unanimously on the first ballot to nominate Professor Enrico Schleiff as BMLS Director for another four years in office. Both CEF Speaker Professor Volker DΓΆtsch and the Goethe Universityβs Executive Board followed the decision of the BMLS research group leaders assembly (Dec 12, 2017). Enrico Schleiff will start his next four-year term in January 2018. October 2017. Learning and memory are two important functions of the brain that are based on the brainβs plasticity. Scientists from Goethe University Frankfurt report in the latest issue of the scientific journal βCell Reportsβ how a trio of key molecules directs these processes. Their findings provide new leads for the therapy of Alzheimerβs disease. October 2017. As a long standing BMLS tradition, the bravest members of the BMLS participated again at the yearly Feldberg Challenge. The Challenge was born 2013 by the idea to once a year climb the mountain, we see from our labs. We caught a lot of fresh air and It was great fun again. See you next year! 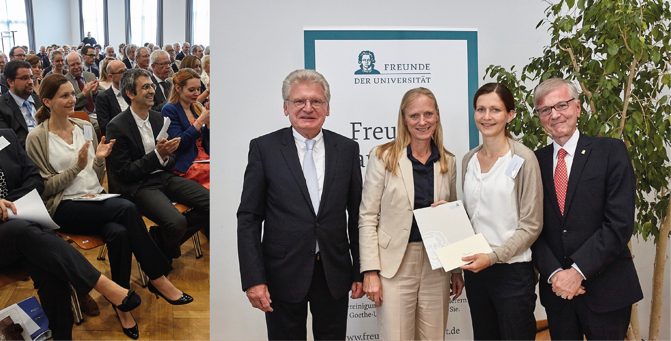 The Buchmann Institute for Molecular Life Sciences (BMLS) at the Goethe University, Riedberg Campus, celebrated its first Josef Buchmann Awards Ceremony on 6 September 2017. The awards ceremony was dominated by the young researchers of the Buchmann Institute for Molecular Life Sciences (BMLS) and their great achievements. In the BMLS, 160 doctoral students and postdocs work to decipher the functioning of cells at the molecular level and thus lay the foundations for new drugs and treatment methods. July 2017. Maike Windbergs, Professor for Pharmaceutical Technology and research group leader of the Drug Delivery and 3R-Models Group at BMLS, received the Controlled Release Society (CRS) T. Nagai Postdoctoral Research Achievement Award for her outstanding scientific achievements in the field of drug delivery spanning from carrier design up to development of complex preclinical in vitro models to test novel medicines. The Controlled Release Society is one of the biggest international non-profit organizations dedicated to science and technology of controlled release. 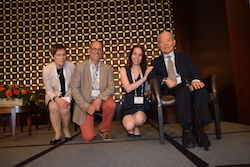 The T. Nagai Postdoctoral Research Achievement Award has been established to recognize an individual young researcher who has recently completed postdoctoral research in controlled release science and technology and was awarded to Maike Windbergs during the CRS annual meeting and exposition which was held 16-19th of July in Boston. July 2017. The new LOEWE research cluster βDynaMemβ, short for βDynamics of Membranes. Molecular basics and theoretical descriptionβ, will be funded with 4.4 million Euro over four years starting from January 2018. >Involved in this project are the Goethe University Frankfurt, the Max Planck Institute of Biophysics, the Johannes Gutenberg University Mainz, the Max Planck Institute for Polymer Research and the Frankfurt Institute of Advanced Studies. 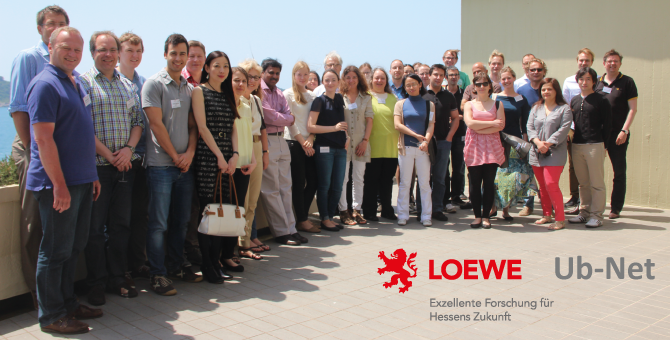 With its LOEWE Program the Hessen State Government funds outstanding scientific collaborative research projects. 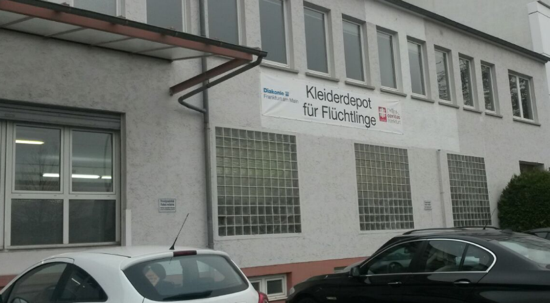 The State Government of Rhineland-Palatinate (Rheinland-Pfalz) also contributes funds to DynaMem. The overarching aim of DynaMemβs research is the algorithmic description and modelling of membrane dynamics. This will enable scientists to make predictions about the dynamic behavior of membranes and how they react to interference. June 2017. Kathi Zarnack, Junior Group Leader at BMLS, participates in the organization of the RMU RNA Salon “Genomics approaches in RNA research”. The aim of this series of mini-symposia is to bring together RNA researchers from the different universities in the Rhein-Main area to exchange experiences and discuss the latest RNA-related technologies. For the organization, Kathi joined forces with JProf. Michaela MΞΞller-McNicoll and Dr. Tobias Schmid from GU Frankfurt as well as Dr. Julian König (IMB, Mainz) and Dr. Oliver Rossbach (JLU Giessen). June 2017. The first BMLS Foyer Quiz took place on 8th of June 2017, organized by Harald Hofbauer and Devang Odedra. The quiz members from several BMLS research groups and was a lot of fun and a successful event, gathering six participating teams with more than forty participants! After fife quiz rounds and a total of fifty questions there was a tied first place with the teams "In-Team, es wird Ernst" and "G-Force". A tie breaker question, asking how much pints you can fill with one (oil) Barrel full of beer, again was a tough decider but "In-Team, es wird Ernst" was closer to the correct answer! Congratulations to the winning team ! Because of the great atmosphere, puzzling faces and cold drinks, it will be just a matter of time for the 2nd BMLS Foyer Quiz to take place! May 2017. A team around Ivan Dikic and Mike Heilemann (Chemistry Department, Goethe University) gained unprecedented insight into the mechanism by which cells fight Salmonella infections. Upon intracellular invasion, bacteria are usually rapidly surrounded by a coat of ubiquitin, the function of which remained unclear until now. Combining super-resolution microscopy with cell biological analysis, the researchers now discovered that distinct ubiquitin chains transform the bacterial surface into a molecular signalling platform. April 2017. On 20th of April 2017, BMLS students gathered at the 3rd BMLS Student Symposium. This was the third year in a row BMLS students organized a symposium only for students (PhD students, Master and Bachelor students) and post-docs, giving the opportunity to practice conference-like situations, such as giving a scientific talk or having a poster presentation, but also engaging in networking and scientific discussions. April 2017. Ivan Dikic, IBC2 director and a member of CEF and BMLS, has been awarded an Advanced Investigator Grant of the European Research Council (ERC). It is the second time that Dikic receives the prestigious grant, which entails funding of € 2.5 million for the next five years. Within his new project, Dikic will be investigating how bacteria manipulate the ubiquitin system of their host organism. "Bacteria are rapidly changing chemical factories that subdue human cells and exploit them for their own needs. We focus on foodborne pathogens such as Salmonella, Escherichia coli and Shigella that cause around 200 million infections and more than 250.000 deaths per year", explains Dikic. "We will investigate how bacterial toxins containing different enzymatic activities cause cell and tissue damages, eventually resulting in symptoms of infection." On 22 March we welcomed the 31 pre-school kids of the daycare Kairos and St. Bernhardt to the kids lab and had a wonderful day of science. The 6 stations that were prepared for the kids were a hands-on experience of various fields of science including biology and physics. March 2017. NerShort-chain fatty acids are high-value constituents of cosmetics, active pharmaceutical ingredients, antimicrobial substances, aromas or soap. To date, it has only been possible to extract them from crude oil by chemical means or from certain plants, such as coconut, using a complex process. Research groups led by Martin Grininger and Eckhard Boles at Goethe University Frankfurt have now succeeded in producing such fatty acids in large quantities from sugar or waste containing sugar with the help of yeasts. The process is simple and similar to that of beer brewing. February 2017. Nerve cells communicate via chemical messengers, so-called neurotransmitters (e.g., acetylcholine), which enable a rapid and directed transmission of information. Other messengers used in the nervous system are neurohormones and neuropeptides, which have modulatory functions. The release of such messengers occurs at contact points between neurons, so-called synapses. December 2016. As the German Research Foundation (DFG) announced today, Goethe University (GU) is one of the winners of the 2016 Competition for International Research Marketing Ideas. The awarded concept “Let’s talk about UBAUT” was initiated by IBC2, LOEWE Ub-Net and SFB 1177 on Autophagy in collaboration with GU’s Departments for Internationalization and Marketing and Communication. 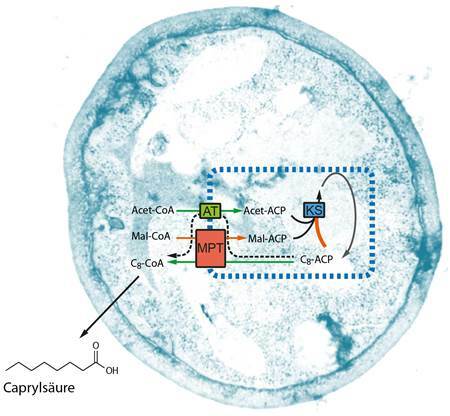 A new study, which was published on 27 June 2016 by the journal Nature Communications, reveals that β-barrel proteins are targeted to mitochondria by a dedicated β-hairpin element and this motif is recognized at the organelle surface by the outer membrane translocase. 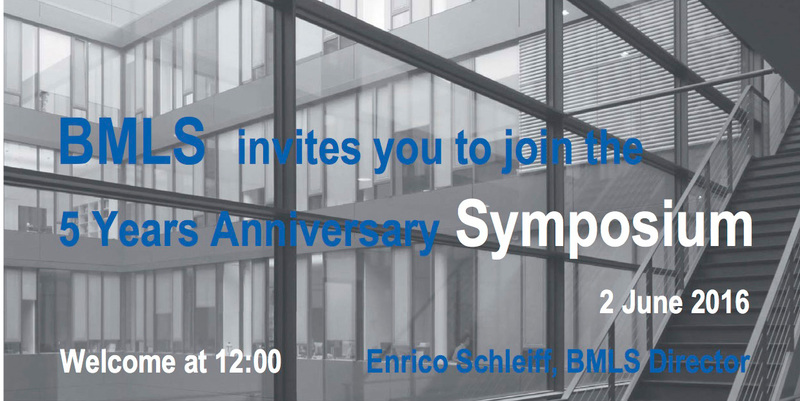 The Buchmann Institute for Molecular Life Sciences (BMLS) at the Goethe University celebrated its fifth anniversary on 2 June 2016. On the occasion of this event the latest research results were presented as a part of the German-Israeli Symposium. The day started with a scientific symposium which was fireworks of outstanding science! All presentations were met by enthusiasm from the audience, so that the listeners who had to sit on the steps didn't repent their coming and remained until the last minute. The ceremony, which took place in the afternoon, was held in a marquee on the meadow with spring flowers and the approximately 200 guests could enjoy the view of the red building - the Buchmann Institute for Molecular Life Science (BMLS). The Institute was founded as part of the Cluster of Excellence "Macromolecular Complexes" (CEF), at the Goethe University, shortly after the German Council of Science and Humanities had recommended the funding of a research building for the Cluster. In 2011 the first research groups moved in. Plants produce new organs throughout their lifespan. It is largely unknown whether this robust post-embryonic organ formation results from stereotypic dynamic processes, in which the arrangement of cells follows rigid rules. 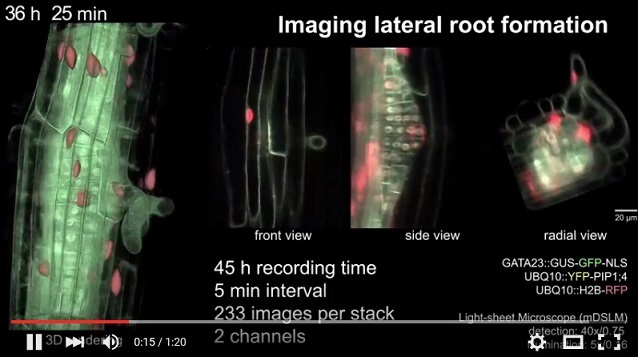 A team of scientists from the Universities of Frankfurt and Heidelberg combined modeling with empirical observations of whole-organ development to identify the principles governing lateral root formation using the model plant Arabidopsis. Autophagy can act either as a tumor suppressor or as a survival mechanism for established tumors. To understand how autophagy plays this dual role in cancer, in vivo models are required. 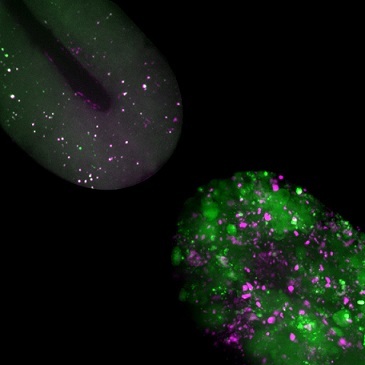 By using a highly heterogeneous C. elegans germline tumor, the research group of Christian Pohl in collaboration with the research group of Ivan Dikic could now show that autophagy-related proteins are expressed in a specific subset of tumor cells, the neurons. Moreover, they could demonstrate that inhibition of autophagy impairs neuronal differentiation and results in a shorter life span of animals with tumors. 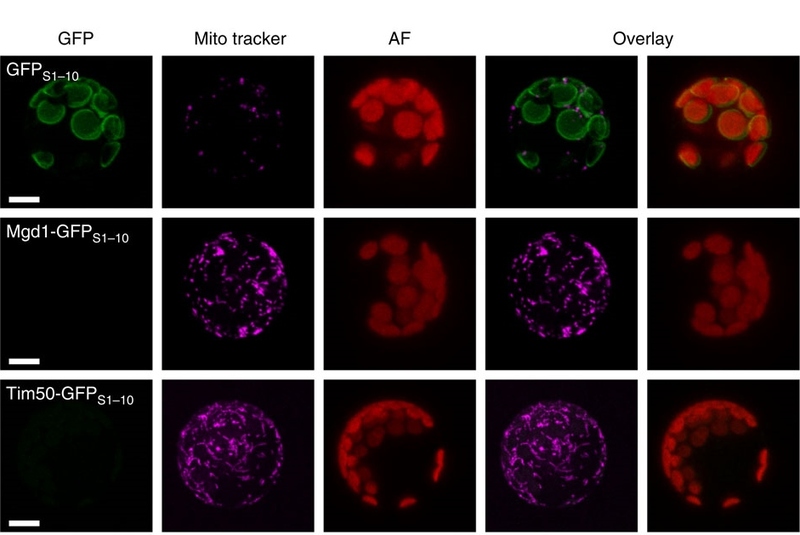 In contrast, induction of autophagy extends life span by impairing tumor proliferation, which also depends on modular changes in transcription networks and mitochondrial metabolism. 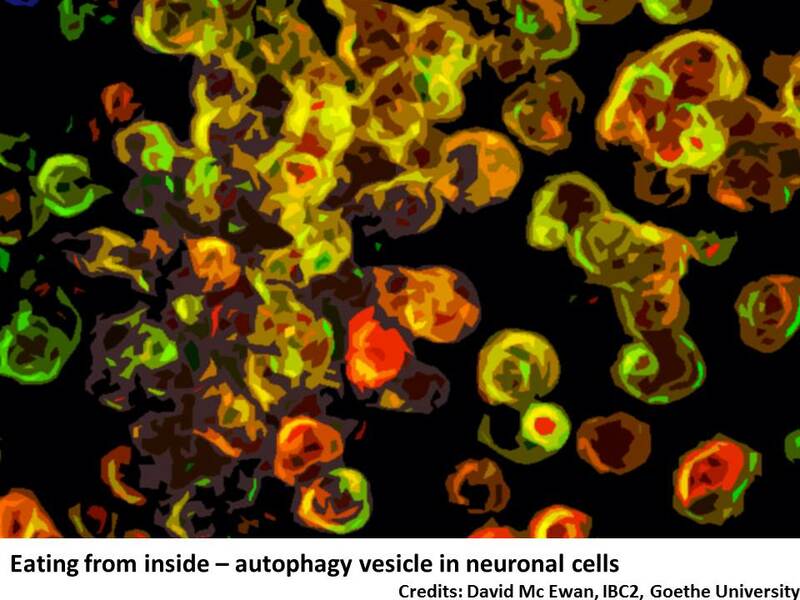 The findings from this work, recently published in the journal 'Autophagy', suggest that metabolic restructuring, cell-type specific regulation of autophagy and neuronal differentiation play key roles in regulating the growth of heterogeneous tumors. December 2015. Structure determination by protein crystallography is limited by the ability of proteins to crystallize. Since many proteins cannot be crystallized, high resolution X-ray structure information is often missing. Masato Akutus from the Buchmann Institute for Molecular Life Sciences has won funding from the Volkswagen Stiftung to develop a novel and rapid approach for structure determination by making use of a molecular framework for protein crystallization. If successful this approach would eliminate the need to crystallize proteins in the conventional way but still provide high-resolution structural information. The molecular framework will act like a molecular sieve, which will trap proteins. It should then be possible to determine the structure of the protein in complex with the sieve. Such a new approach would open a universal, easy, fast and low sample consuming approach that would eliminate the biggest hurdle of protein crystallography. On 9th of December 2015, BMLS students gathered at the 2nd BMLS Student Symposium. This was the second year in a row BMLS students organized a symposium only for students (PhD students, Master and Bachelor students) and post-docs, giving the opportunity to practice conference-like situations, such as giving a scientific talk or having a poster presentation, but also engaging in networking and scientific discussions. In the first part of the symposium six talks were given by PhD students from several groups. As an addition this year, the following talk was held by an external speaker. Dr. Lothar Meier from the Infraserv Hoechst AG was invited to introduce the industry park Hoechst by illustrating its history and future developments, and how academics can contribute to this concept. In September, a BMLS fundraising was initiated to support the overwhelming number of refugees. During a cake sell at the BMLS institute 150 Euro were collected which was donated to the UNO Refugee Agency. This money is used to help people in the affected countries such as Syria, Iraq, etc.. As an example, with those 150 Euro aid supplies such as water canisters, sleeping mats, solar-powered lamps and soap can be funded. BMLS-affiliated students (PhD, Dipl., MSc., BSc.) 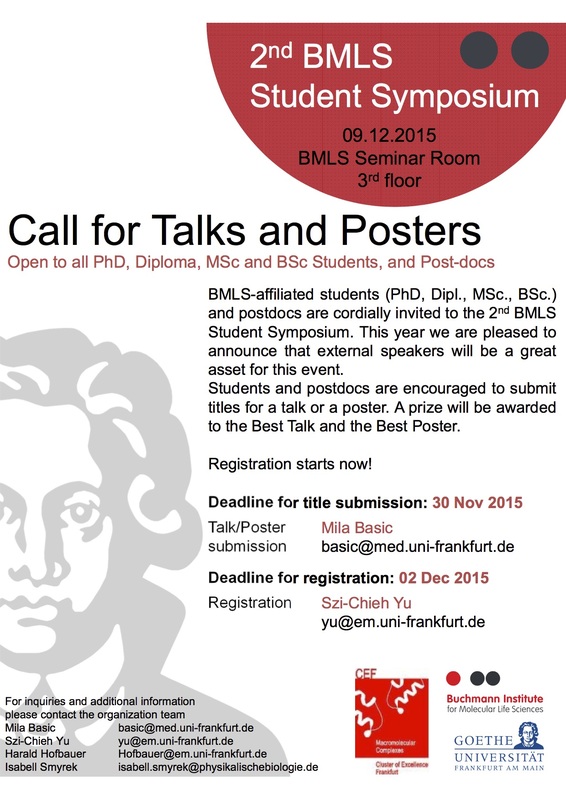 and postdocs are cordially invited to the 2nd BMLS Student Symposium. This year we are pleased to announce that external speakers will be a great asset for this event. Students and postdocs are encouraged to submit titles for a talk or a poster. A prize will be awarded to the Best Talk and the Best Poster. Registration starts now! 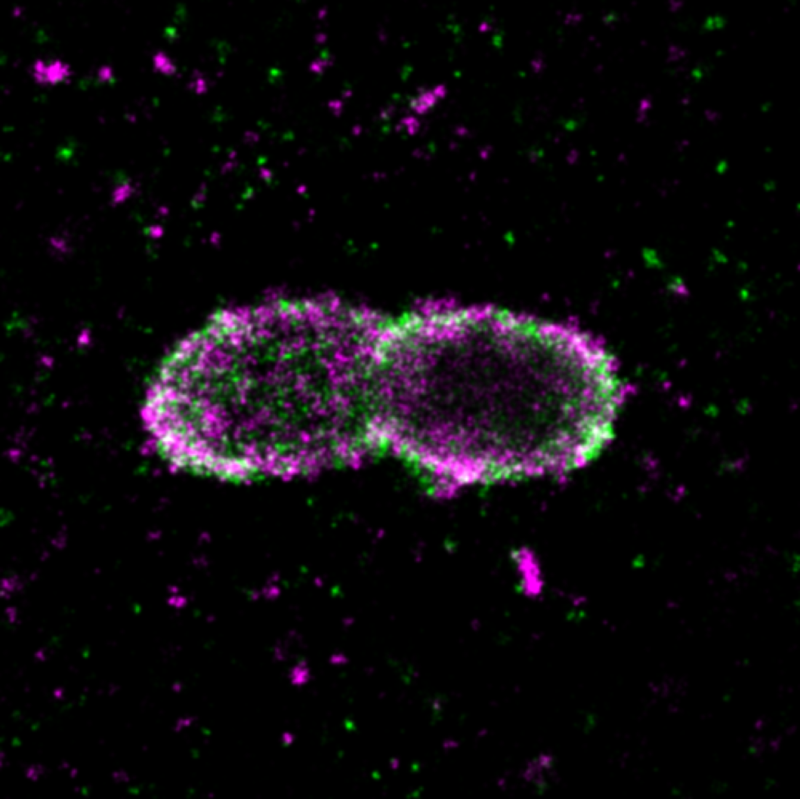 Scientists from Frankfurt and Mainz have successfully applied for funding to establish a Collaborative Research Centre (CRC)/Sonderforschungsbereich (SFB) on the molecular mechanisms of selective autophagy. Autophagy literally means "self-eating" and describes a process by which the cell recycles harmful ballast like aggregated proteins, damaged organelles or even bacterial invaders. The centre will be funded by the German Research Foundation (DFG) with 11 million € for the next four years. The initiative is led by the former BMLS director Ivan Dikic, and is the first large-scale collaborative network in Germany in this highly competitive field. 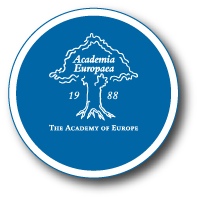 The European Academy (Academia Europaea) announces the list of 248 scientists who were elected to the academy in 2015. Amongst them is Ivan Dikic, director of the Institute of Biochemistry 2 at the Medical School Goethe University and founding director of the Buchmann Institute for Molecular Sciences (BMLS). 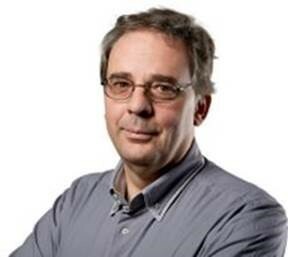 Ivan Dikic has been appointed as a senior editor of the scientific journal eLife in the area of molecular signalling and quality control pathways. Since 2013, he has been serving on the board of editors of this unique journal, which is driven by a non-profit, researcher-led initiative and is supported by the Howard Hughes Medical Institute, the Wellcome Trust and the Max Planck Society. 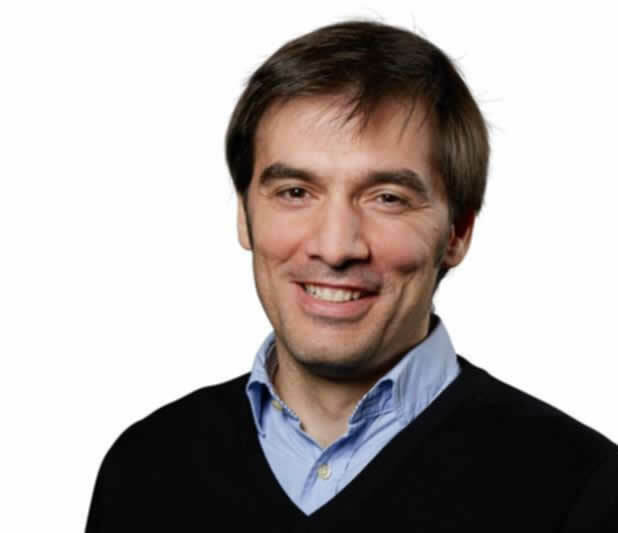 Ivan Dikic also serves on the editorial boards of Cell, Molecular Cell, Molecular Cell, Developmental Cell, EMBO Journal, EMBO Reports, Science Signaling, Autophagy, J Cell Biol, BMC Biology, Biochemical Journal, Cell Death and Diff. He is elected as a chairman of the EMBO Publication Committee from 2015-2018. The BMLS Institute is going to add a modern mass spectrometer to its technology platform. The respective application has been just approved by the Deutsche Forschungsgemeinschaft (DFG). The application led by Prof. Helge Bode and supported by Dr. Martin Vabulas and other seven principal investigators from the BMLS Institute and the CEF Macromolecular Complexes convinced the granting agency of the urgent need for a high resolution mass spectrometer to support their proteomic and system biology research projects. The new technology will allow the scientists to broaden and deepen the proteomic analysis, especially in regard to posttranscriptional protein modifications, such as protein phosphorylation or ubiquitylation. Irregular heartbeat (cardiac arrhythmia) is often associated with mutations in ion channels or other proteins. To enable drug development for distinct arrhythmias, model systems are required that allow the investigation of patient-specific mutations. 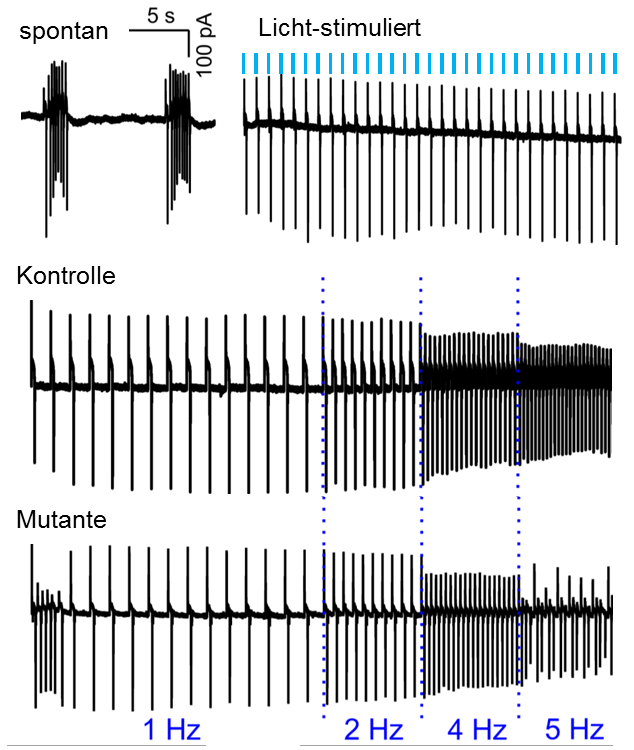 A team of scientists led by Alexander Gottschalk at the Goethe Univeristy Frankfurt established a new model system that may allow screening of drug candidates affecting specific mutations in the voltage-gated Ca2+-channel, and permit a better understanding of the effects of distinct mutations on a macroscopic level. Their findings were published on 24 September 2015 in the journal Scientific Reports. Cyclic GMP (cGMP) is an important cellular messenger acting in processes such as visual perception, regulation of blood pressure, induced cell death, but also in regulation of penile erection. For example, the drug Viagra causes accumulation of cGMP in cells. 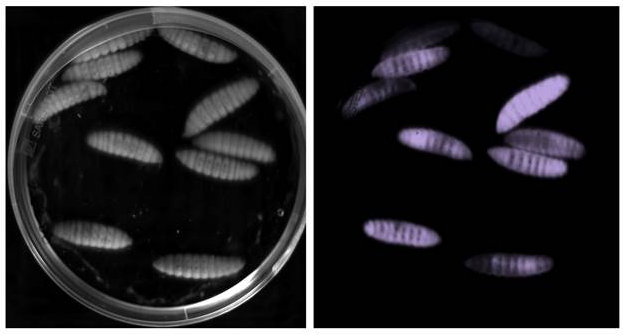 The researche group of Prof. Alexander Gottschalk, together with colleagues from the University of W¨rzburg, was able to establish a novel light-sensitive protein from the aquatic fungus Blastocladiella emersonii as a so-called &apos;optogenetic&apos; tool, which can directly form the messenger cGMP upon illumination of cells expressing it. Over 650.000 refugees uprooted by crisis especially in Serbia, Syria, Somalia, Iraq, Eritrea und Bosnian-Herzegovina are expected in 2015 to seek asylum in Germany. It is the cruel truth that more than 2000 refugees were drown during their attempt to flee over the Mediterranean Sea to find shelter and help. The ones which made their exhausting and often very dangerous way to Germany are stranded at initial registration facilities across Germany. Those institutions are currently overstrained by the overwhelming number of refugees. Consequently, many of them - including babies, children, old, sick or injured people - do not have a place to sleep or to recover from their terrible experiences which lie behind them. More and more cities are starting to build e.g. tent camps for the refugees. But there is a huge lack of simple, material things. 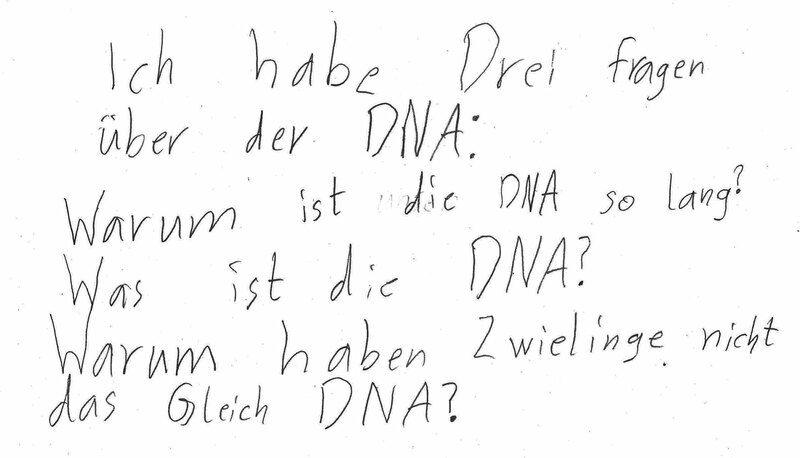 Kathi Zarnack and Christian Pohl, both Junior Group Leaders at BMLS, met with 3rd-year children of two Primary Schools in Frankfurt to tell about their research. They answered questions about cells and the DNA inside and invited the children to observe different cells and small organisms under the microscope. 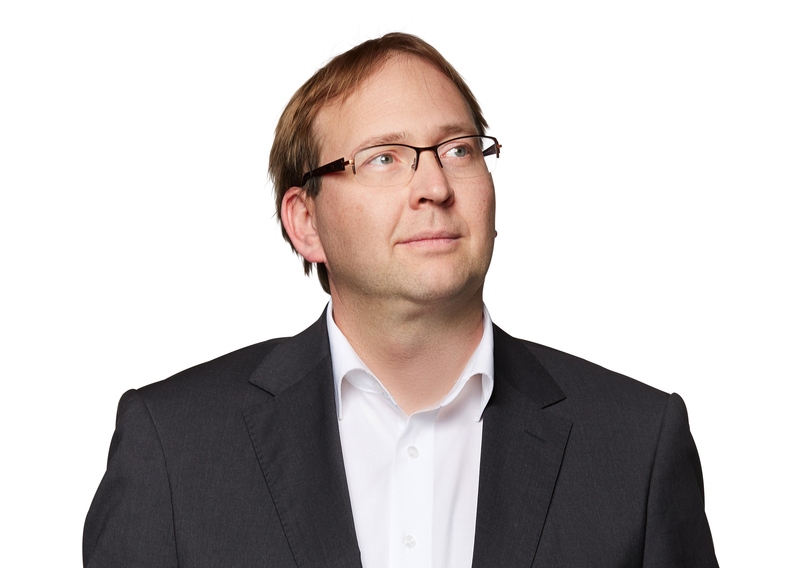 Martin Grininger, Lichtenberg Professor of the Volkswagen Foundation and BMLS Group Leader since 2012 has been appointed BMLS Vice Director retroactively as of 1st June 2015 by BMLS Director Enrico Schleiff. Martin Grininger was born 1976 in Linz in Austria. At school he was mainly interested in one thing: sports, especially skiing. Towards the end of his time at school he discovered that he liked chemistry too, so in 1995 he began to study chemistry at the University of Linz. He moved to Graz in 1998 to focus more on organic and biological chemistry and completed his degree with a diploma thesis at the Max- Planck-Institut für Kohlenforschung in Mühlheim/Ruhr. 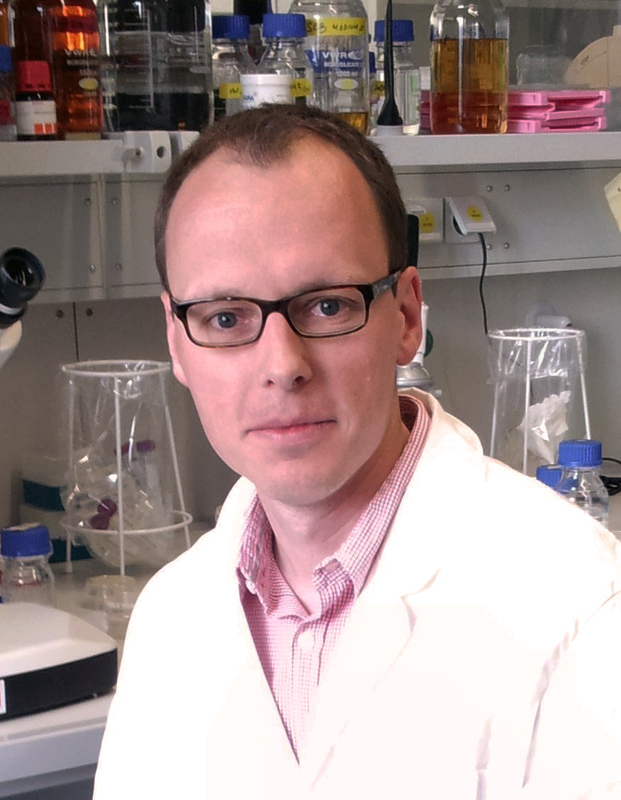 Martin started his PhD project at the Max Planck Institute for Biochemistry in Martinsried in 2002. After finishing his PhD in 2006 he stayed on at the MPI as project group leader. From 2010 to 2011 he was guest professor at the University of Vienna and in 2012 he became Lichtenberg-Professor of the Volkswagen Foundation at the Goethe University Frankfurt. 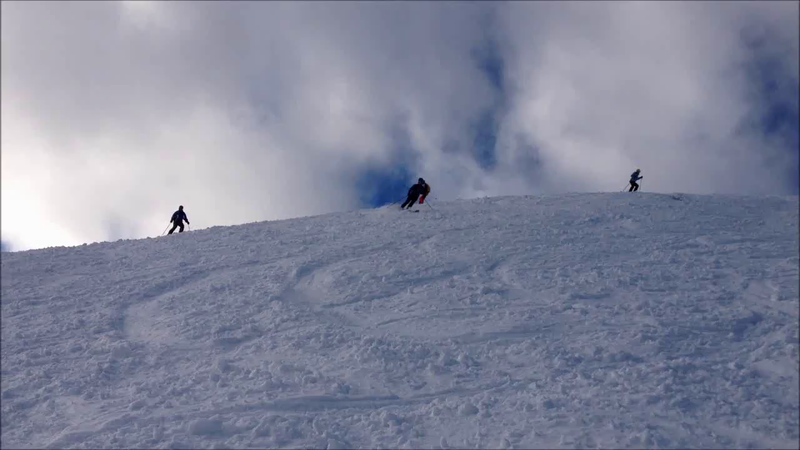 Skiing remains his hobby. He tries to compensate for the lack of snow in Frankfurt with other sports and activities. The underlying goal of his research is to provide understanding of the functional mechanisms of proteins to finally reprogram their reaction modes. BMLS congratulates Martin Grininger and is looking forward to a successful collaboration. 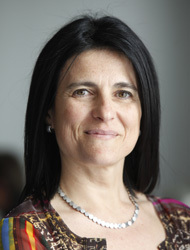 EMBO has elected neurobiologist Amparo Acker-Palmer as one of its new members. Her research focuses on the molecular mechanisms of guidance cues involved in the formation of nervous and vascular systems. This is the second excellent piece of news this month for Amparo Acker-Palmer who recently was also selected by the European Research Council for one of its ERC Advanced Grants. 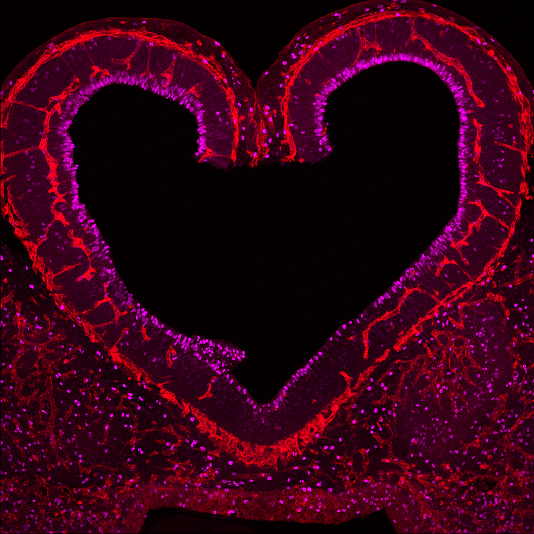 12th May 2015 How do neurons and blood vessels "talk" to each other? On 12th Nov 2014, BMLS students met in the 1st BMLS Student Symposium. It was the first time when BMLS students organized a symposium only for students (PhD students, Post-Docs, Master and Bachelor students), giving the opportunity to practice conference-like situations, networking and having scientific discussions. In the first part of the symposium seven talks were given by PhD students from several groups. The second part was a poster presentation where eleven authors presented their poster in a two minute short presentation followed by a poster session. At the end of the event a prize (kindly donated by BMLS group leaders) for the best talk with the title "Of Oranges and Cherries, Emeralds and Rubies" was awarded to Frederic Strobl from the group of Ernst Stelzer. The prize for the best poster with the title "The Role of Reelin in the Blood Brain Barrier" was awarded to Victor-Valentin Hodirnau from the group of Achilleas Frangakis. About 50 participants contributed to this successful event. BMLS students are looking forward to organize similar events in the future. The future President of Goethe University Frankfurt, Professor Birgitta Wolff, visited the Buchmann Institute for Molecular Life Sciences (BMLS) on 5th Nov 2014 on invitation from BMLS director Enrico Schleiff. The scientists were delighted to welcome Birgitta Wolff and to introduce her to their research, building and laboratories. The international and highly interdisciplinary institute on Riedberg Campus in Frankfurt currently hosts thirteen research groups with a total of 170 staff from over twenty countries. During her half day visit Birgitta Wolff met with professors, junior group leaders, postdocs, PhD students and technical-administrative staff. All involved very much enjoyed the visit and the constructive discussions. The enthusiasm of the scientists for their research and the high-tech state of the art laboratories specifically made an impression. BMLS members were only too happy to answer Birgitta Wolff's questions ranging from science over job opportunities to technical details. The future president showed a particular interest in the younger scientists. 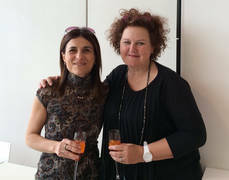 BMLS very much thanks her for her interest and wishes her great success in the new position. A multidisciplinary, international team led by C. Kubisch (Ulm University), K. Ramadan (Oxford University), J. Terzic (Split University), D. Amor (University of Melbourne) and I. Dikic (Goethe University in Frankfurt) reports in today's online issue of Nature Genetics the discovery of a hitherto unknown mutation causing early onset liver cancer. 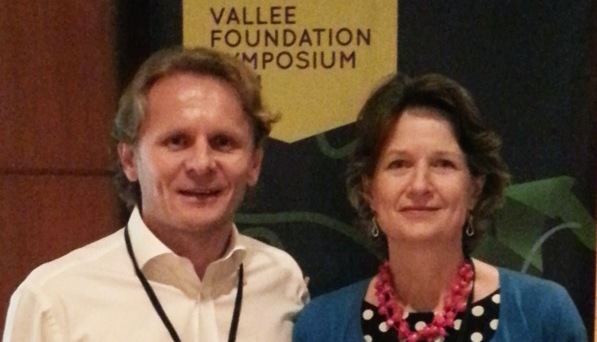 The Vallee Foundation announced the appointment of six new Vallee Visiting Professors (VVPs), who will receive the resources to spend one month at a premier biomedical research institute of their choice. Besides Ivan Dikic, the award goes to Bonnie Bassler, Chris Dobson, Tyler Jacks, Thomas Shenk and Andreas Strasser this year. Since 1997, 47 VVPs have been appointed, and the program has been a great success in fostering intellectual exchange, building scientific partnerships and kicking off exciting new projects. Ivan Dikic will join Harvard Medical School in 2015 for his VVP sabbatical. The Week of Science on Riedberg Campus from 1-6 June 2014 forms part of the Goethe University's program to celebrate its 100th anniversary. BMLS opened its doors to the general public as part of the "Open Sunday" on 1 June 2014. The day started with a wonderful sunny morning and the opening of the University's new science garden. This was followed by a varied program of activities, including seminars, exhibitions, tours, live music and activities for all ages at the different departments and institutes located on the Riedberg. In the context of "100 Years Goethe University" and the "5th Frankfurter Ruderfest" a challenching rowing regatta has been organized by Prof. Enrico Schleiff (Goethe University), Kaan Erkinay (GU) and Oliver Palme (Frankfurter Regatta Verein). 26th May 2014 Non-invasive long-term fluorescence live imaging of Tribolium castaneum embryos. During the last years, Tribolium castaneum has emerged as the second most important insect model organism trailing Drosophila melanogaster. However, previous fluorescence live imaging attempts addressed only particular issues and covered only short time periods. 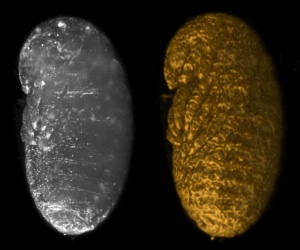 In the current issue of Development, Frederic Strobl and Ernst Stelzer provide a protocol for the non-invasive long-term fluorescence live imaging of Tribolium castaneum embryos. They document, for the first time, the complete embryonic morphogenesis process continuously in one embryo and along four orientations discovering a new transient structure on the extraembryonic membrane - the serosa scar. 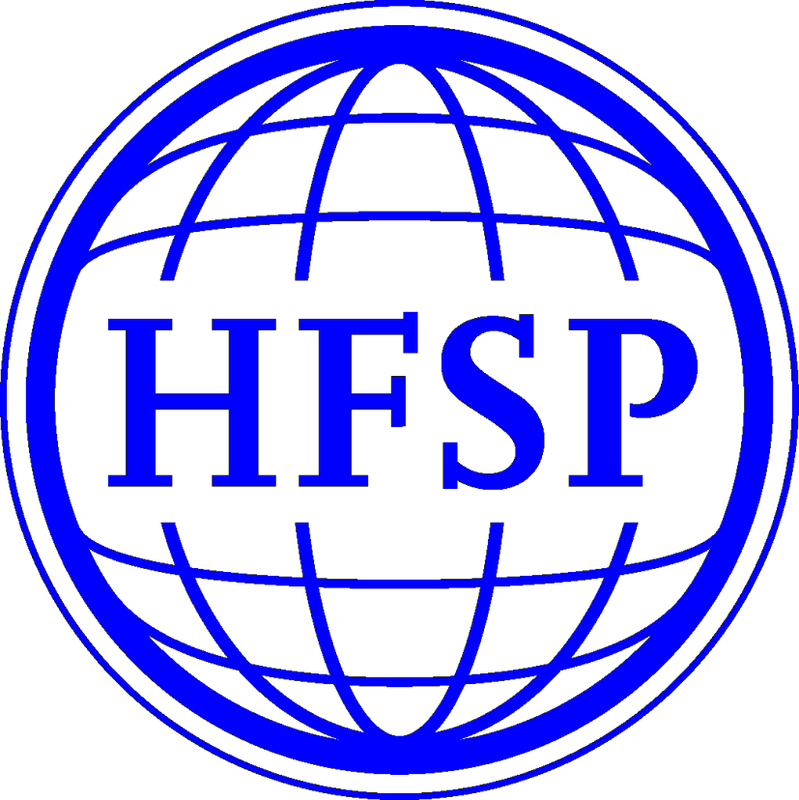 Link to YouTube video "Imaging embryogenesis in the beetle Tribolium"
25th April 2014 HFSP Program Grant for BMLS. 11th April 2014 Amparo Acker Palmer will join the MPI for Brain Research as a Max Planck Fellow. Amparo Acker Palmer will join the MPI as a Max Planck Fellow, effective July 1st, 2014. The Max Planck Fellow Program promotes cooperation between outstanding university professors and Max Planck Society researchers. The appointment of university professors as Max Planck Fellows is limited to a five-year period and also entails the supervision of a small working group at a Max Planck Institute. 10th April 2014 The control of signaling in immunity and inflammation. 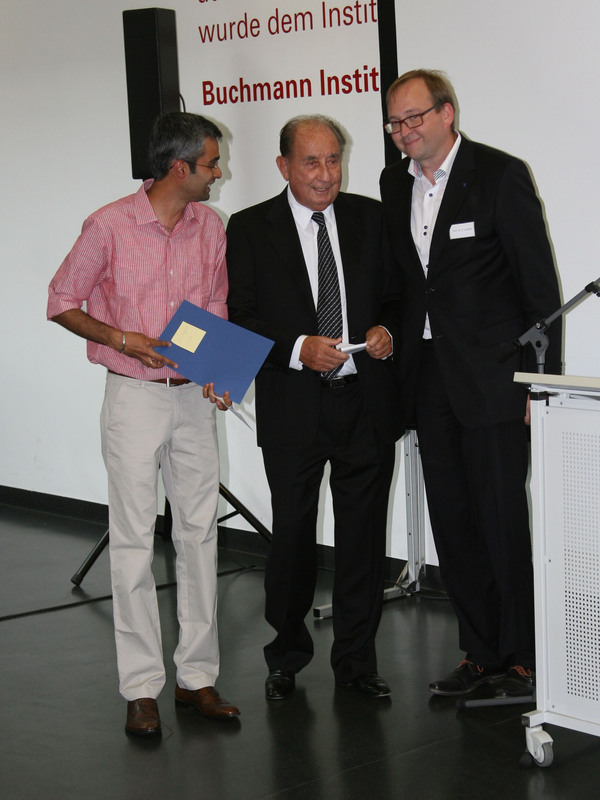 18th March 2014 German Society for Cell Biology honours Ernst Stelzer. Ernst Stelzer received the "Carl Zeiss Lecture 2014" at the International Meeting of the German Society for Cell Biology in Regensburg. 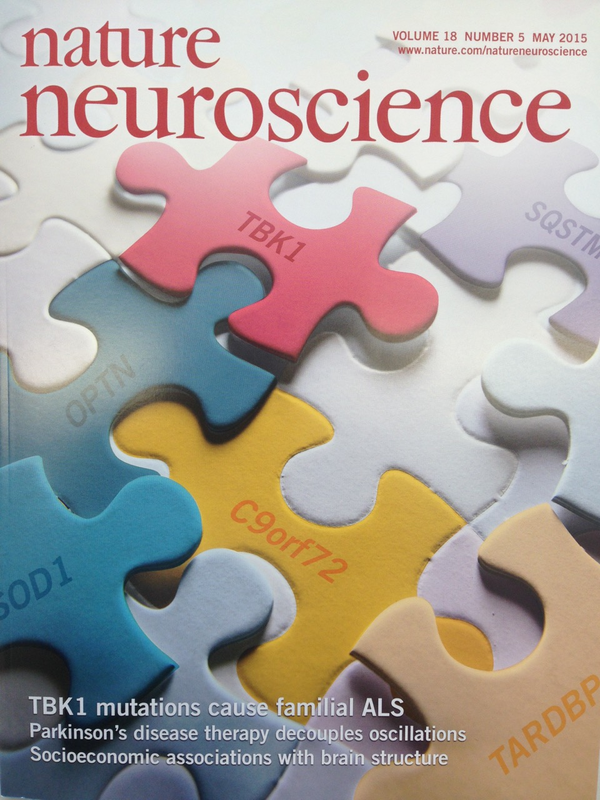 25th Feb 2014 New piece in the puzzle of neuronal communication. 10th Feb 2014 BMLS scientists Deepika Singh and Christian Pohl uncover a biomechanical mechanism for embryonic patterning. 18th Dec 2013 Three new group leaders will start their groups in 2014. Just before Christmas three group leaders signed their contracts for starting their first independent groups at BMLS. Dr Anja Bremm (left) who received a prestigious Emmy Noether Fellowship from the German Research Foundation (DFG), Dr Masato Akutsu (second from left) who will be heading a group endowed by the Leibniz Prize awarded to Ivan Dikic (right) by the DFG, and Dr Kathi Zarnack (third from left) who will be funded through the LOEWE program 'Ubiquitin networks'. Both Kathi Zarnack and Masato Akutsu will also be supported by a donation from the Buchmann Foundation. 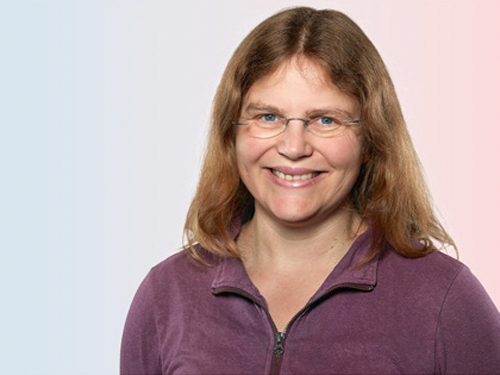 All three will start their groups in 2014, Anja Bremm mainly concentrating on cellular signaling, Masato Akutsu strengthening the structural biology platform, and Kathi Zarnack establishing the first bioinformatics group. 5th Dec 2013 Structure of HOIP catalytic core solved. In collaboration with Katrin Rittinger at the MRC-NIMR in London, the Dikic group solved a molecular puzzle about the formation of specific Ubiquitin chains. 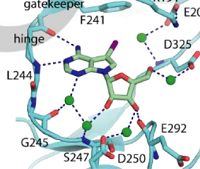 In the current issue of Nature, they report the crystal structure of the catalytic core of HOIP, the critical enzymes involv ed in forming linear (Met1-linked) Ubiquitin chains. These chains are important regulators of cellular signalling, and knowing the molecular structure of the complexes involved is an important step forward to understanding how these pathways control innate immunity and inflammation. 27th Nov 2013 Ernst Stelzer awarded Honorary Fellowship of the Royal Microscopical Society. The Royal Microscopical Society (RMS) is to award Ernst Stelzer the Honorary Fellowship of the Society for his contribution to the development of confocal microscopy. 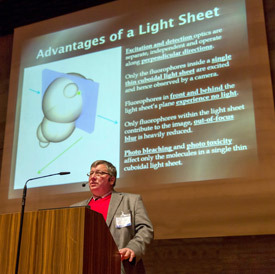 Ernst Stelzer will receive his honorary fellowship at the Microscience Microscopy Congress in July 2014 where he will also be giving the plenary talk. 10th June 2013 Visit of Hessian Minister Michael Boddenberg. As part of the 'Research Awareness Weeks', Hessian Minister of Federal Affairs, Michael Boddenberg, took a tour around the Buchmann Institute and the Center for Biomagnetic Resonance. He was impressed by the setup of equipment and technologies on Riedberg Campus. 8th January 2013 BMLS director Ivan Dikic to receive Ernst Jung Prize for Medicine. The Jung Foundation for Science and Research announced that Ivan Dikic will receive the Ernst Jung Prize for Medicine 2013 for his groundbreaking work in understanding the role of Ubiquitin in cellular signal regulation. The prize is awarded with 150,000 € and will be presented at a ceremony on 3rd May in Hamburg. Read more. Frankfurt researcher is admitted to the German Academy of Sciences. 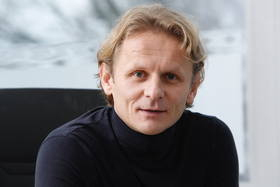 Leibniz Prize 2013 for BMLS director Ivan Dikic. BMLS Group Leader wins ERC Starting Grant. 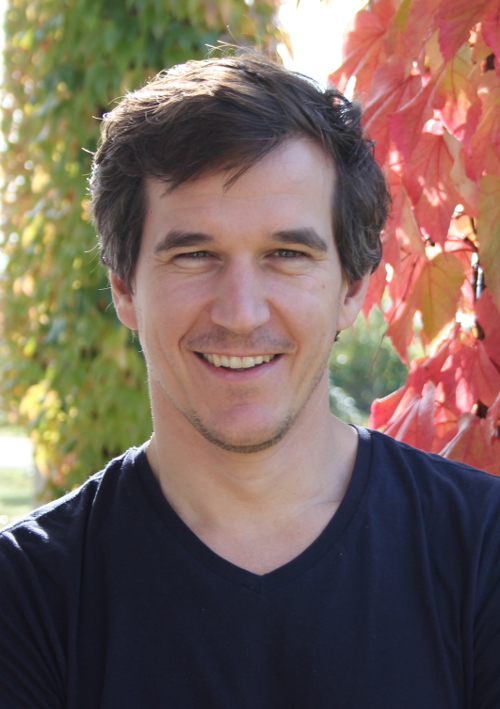 Martin Vabulas was awarded with one of the prestigious grants for early-career researchers, enabling him to carry out his ambitious MetaMeta project. The project studies the metastability of proteins during tumor metastasis and will now be endowed with 1.4 M € for the next 5 years. Link to Goethe University press release and ERC press release. Renaming of the Institute is celebrated in a festive ceremony. As a sign of gratitude to the Frankfurt businessmann and patron Dr. h.c. Josef Buchmann, the Institute has been named Buchmann Institute for Molecular Life Sciences. Josef Buchmann has been a generous supporter of the Goethe University for more than 25 years, and has recently also sponsored the Institute substantially, enabling the recruitment of further young academics to the Riedberg campus. Link to German press release. BMLS scientist Amparo Acker-Palmer elected as new member of the German Academy of Sciences Leopoldina. The Award honors the pioneering work of Ivan Dikic in understanding the Ubiquitin code, and his efforts in training and education of young scientists. A new toolkit for monitoring endogenous Ubiquitin. full article or Read more. The Joint Commission of the Deutsche Forschungsgemeinschaft and the German Council of Science and Humanities confirmed today that CEF is one of the Clusters of Excellence to receive funding in the new round of the German Excellence Initiative. This new multi-million Euro grant will begin in November 2012 and will last for five years. It confirms the high quality and international competitiveness of the CEF's research. Sponsorship of FMLS by Josef Buchmann sealed. Following his successful application for a Lichtenberg Professorship of the Volkswagen Foundation, Martin Grininger has moved from the MPI of Biochemistry in Munich to establish his new group at the FMLS. His research is focussed on Megasynthases. These protein complexes produce bioactive natural products in various microorganisms, which are often applied as antibiotics. Martin Grininger aims to copy the natural pathways for the synthesis of new pharmaceutical drugs. for the FMLS, Biologicum and Otto-Stern-Zentrum on Riedberg campus - link to livestream, to German press release, and to the scientific symposium which took place in the morning to mark the day. Dr Christian Pohl has moved from the Memorial Sloan-Kettering Cancer Center in New York/USA to join the FMLS. His research is focussed on embryonal development in the worm C. elegans, aiming at understanding the molecular mechanisms of head morphogenesis. With the recruitment of Dr Pohl, research into developmental cell biology is substantially strengthened at the FMLS. EMBO will fund her work for the next two years. Her proposal is focused on understanding the role of linear ubiquitylation in regulation of apoptotic cell death. I The FMLS Vice Director and Professor at the Institute of Biophysical Chemistry of the Goethe University Frankfurt has been elected by EMBO as one of 46 new members from 14 countries. By awarding life-long membership, EMBO acknowledges the outstanding scientific contribution of Volker Dötsch and his commitment to research excellence. After only two years of construction time, the new FMLS building has now been finished. Seven groups from a wide range of disciplines have moved in already, creating a vibrant scientific atmosphere. The building offers excellent conditions for cutting edge research in Life Sciences, bridging the gaps between Physics, Biology, and Chemistry. It houses a first-class Electron Microscopy Facility, a dedicated Crystal Facility, and the Frankfurt Centre for Advanced Light Microscopy (FCAM). Newly synthesized proteins are fragile and could never reach their proper functional state and their correct destination without the protection of chaperones. As reported in the latest online issue of Science, FMLS deputy director Volker Dötsch was now involved in solving the molecular mechanisms of one such system. After infection with Salmonella, epithelial cells can get rid of the unwanted invader by a process called autophagy. In today's issue of the journal Science, an international group of scientists around FMLS director Ivan Dikic describes how selectivity is achieved in this process. FMLS scientist Alexander Heckel and his PhD student Thorsten Schmidt succeed in creating two interlocking rings of DNA only 18 nanometers in size. Such a structure is called a catenan, and it sets a milestone in the field of DNA nanotechnology. 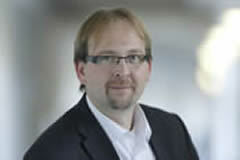 Dr. Martin Vabulas from the MPI of Biochemistry in Martinsried will join the FMLS in April 2011. 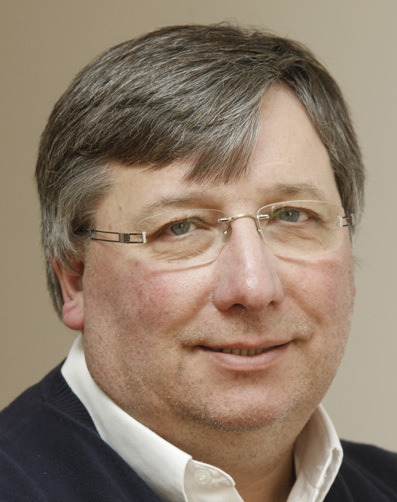 Martin Vabulas is an expert in proteasome function and protein quality control mechanisms. His group aims at identifying molecular events which lead to the collapse of the protein network in diseases like Alzheimer's and during aging. An international team of scientists led by FMLS director Ivan Dikic discovered a novel role for the protein SHARPIN in immune signalling. In today's issue of Nature, they show how SHARPIN stimulates formation of linearized ubiquitin chains, triggering activation of a central regulator of immune responses. The FMLS & CEF Offices are collecting donations for the Japanese Red Cross Society until the end of March. If you wish to participate in this effort, please visit the office or use the following links to find information of how to donate directly to theJapanese Red Cross or to the German Red Cross. Maintaining genomic stability in the female germline is extremely important for all species. Together with others, the group of FMLS scientist Volker Dötsch has now revealed how the activity of quality control factor p63 is regulated in oocytes. 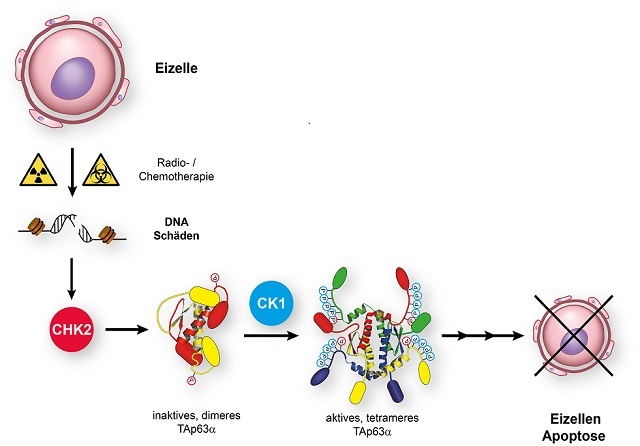 Upon DNA damage, conformation of the protein changes to an active tetramer, initiating death of damaged oocytes. 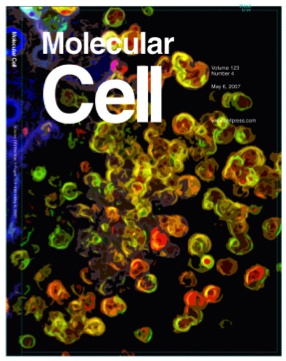 Their results are published today in the journal Cell. Lígia Gomes receives a long-term FEBS fellowship and commences her work within the Dikic/Dötsch group at the FMLS. Her project is focused on the regulation of selective autophagy. FEBS is funding her position for one year, with the option of renewal to up to 3 years. FMLS scientist Alexander Gottschalk has shown for the first time how the movement of an animal can be reliably and precisely directed through light impulses. 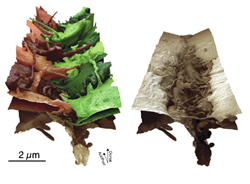 The new technology was published online today in Nature Methods. Read more or watch video. Ubiquitin signals and ubiquitin-binding domains are implicated in almost every cellular process. But how is this wide spectrum of functionality achieved? 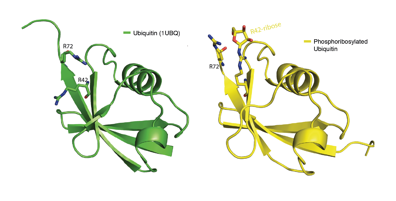 How does ubiquitin find the correct target? Ivan Dikic and colleagues reviewed technological advances in monitoring the dynamics and specificity of ubiquitin networks in the journal Cell. Read more or listen to interview with Prof Ivan Dikic. 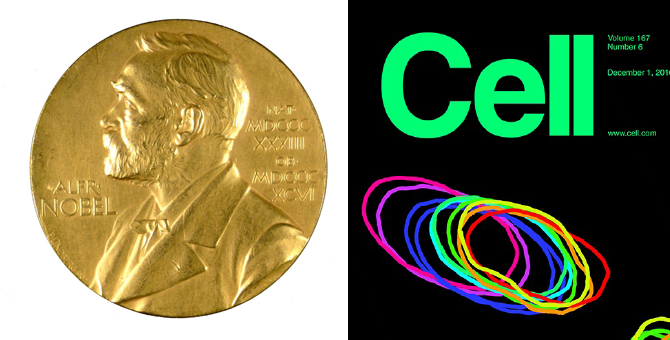 Ivan Dikic, member of the Cluster of Excellence Macromolecular Complexes (CEF) and the Scientific Director of the CEF-funded FMLS, is elected a member of the Leopoldina. The Leopoldina is Germany's National Academy that elects distinguished scientists from all over the world and advises the government on scientific issues and encourages an exchange of ideas with academies abroad and international scientists. CEF Investigator Ernst Stelzer and colleagues from the European Molecular Biology Laboratory in Heidelberg, the University of Heidelberg and the Sloan-Kettering Institute in New York have created the Fly Digital Embryo. In work reported on 4 July 2010 in the journal Nature Methods, they were able to film the development of fruit flys as well as that the eyes and midbrain of zebra fish. 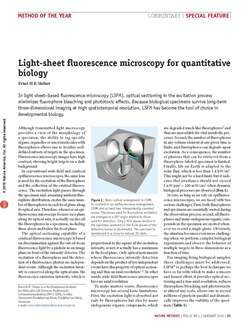 Recording light-microscopy images of large, nontransparent specimens, such as developing multicellular organisms, is complicated by decreased contrast resulting from light scattering. The Joint Commission of the Deutsche Forschungsgemeinschaft and the German Council of Science and Humanities announced today that the Cluster of Excellence Frankfurt Macromolecular Complexes (CEF) will receive funding in the 2nd phase of the German Excellence Initiative. The Buchmann Institute was founded as part of the CEF in 2009, and the continuation of CEF will boost further excellent research at the Institute. As from a specific size, solid tumors form a capillary network of blood vessels that grows along with them. One therapy approach is to suppress growth of blood vessels to starve the tumor. Drugs so far used in the clinic block the vessel growth factor VEGF (Vascular Endothelial Growth Factor). However, there is growing evidence that tumors can avoid or become resistant to this blockade. Little is known about how this takes place since the sprouting of blood vessels (angiogenesis) is not understood in detail yet. For research focused on cancer it is important to understand the regulation of growth factors which are responsible for the proliferation and differentiation of cells. Growth hormones signal to the cell via receptors that are positioned in the cell membrane. When an extracellular growth factor docks on its receptor, the membrane area surrounding it invaginates and gets cut off. Enclosed in a small bubble (vesicel) inside the cell the receptor is transported to other membrane enclosed compartments where it can signal to the cell to proliferate or to migrate.